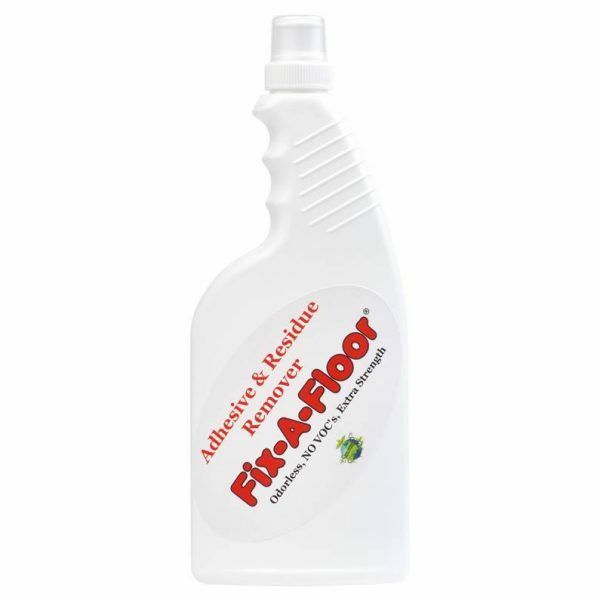 Home / Fix-A-Floor / Fix-A-Floor Adhesive Residue Remover 16 oz. ***NEW: Fix-A-Floor Adhesive & Residue Remover is great for removing any dried adhesive, haze and or residue left over on top of any tile, marble stone and wood floors. Simply apply on area, let sit for 1-2 minutes, using a wet, white scrubby sponge scrub off clean. Wipe away with wet clean towel, Beautiful! 100% Eco Friendly, No Voc’s, No Fumes, Odorless, Non Hazardous!